But how do you know which partner to trust? After all, you’re placing a lot of confidence in their hands and the cost of failure is high. That’s why you need to know exactly what to look for. Head into your next event with complete confidence when you follow our checklist of must-haves for your next AV Partner. Getting the right team for your unique needs is one of the most important elements to look for in an AV and event partner. Many production companies will have core services that they specialise in but you’ll want to find an AV partner that offers a full service. It’s a hassle if your sound company can’t take care of your lighting and projection needs, provide design or recording services and support your events overall technical direction. Knowing that everything is taken care of by a single company can streamline the process and mitigate the risk of miscommunication. If you want to go one step further to ensure your event planning and production go off without a hitch, find a company that can offer complete event management services. That extra level of service means that all of the critical elements of your event will be managed by a single partner. Collaborating in the early planning stages is the best way to ensure you get your desired results without any hassles or last-minute misses. When you first start chatting to a new AV partner, try to find out how involved they will be in your event. If they seem eager to be a part of the early phases of the project, count this as a good sign. They are more likely to spot problems early on and help make your event as fantastic as possible. If, however, they see their role as limited to providing the right equipment for your event, this is likely a sign that they’re not the collaborative partner you’re looking for. As specialists in their field, you should expect that your AV partner is able to design bespoke solutions for your event. Of course, you’ll want to have input about your vision, messaging and goals but ultimately, they should take the lead with professional recommendations to create the biggest impact. If they’re asking you what equipment or solutions you’d like to implement, this should send off red flags. A great AV partner will have their own ideas to add to your vision and help to direct you down the best route for success. On the other hand, you don’t want someone who will take over and ignore your wishes. It’s all about balance. You want a partner who will take your requests on board while using their own initiative to suggest the most effective ways of achieving your goals. It’s also important to remember that, although it’s your event, they’re the experts at what they do and more often than not, heeding their advice will lead to better outcomes. The trendiest solutions won’t always be the most effective solutions, so beware of companies who try to pack your event full of unnecessary elements. 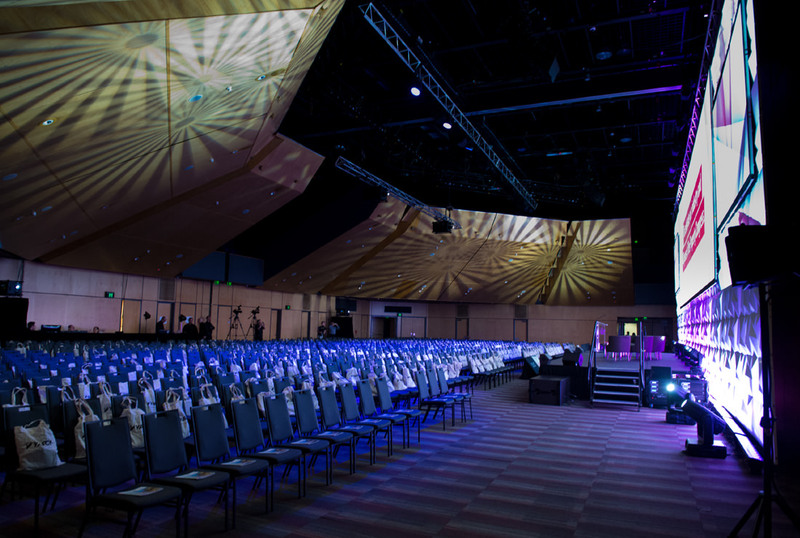 As AV technology advances, there is an increasing number of flashy things you can do with sound, lighting and multimedia components; however, they need to be mindful of the tone and goal of your event. For example, an invasive lightshow or pumping bass might not be so appropriate for a more formal corporate function. Oftentimes, less is more, and the right AV partner will definitely know the difference. Another key sign of a good events and AV partner is their ability to connect with each client’s goals and vision. Customer service is a big part of this; a company that will go above and beyond to satisfy your requirements is likely to be a good one to partner with. If you hit a snag in the road and their attitude is less than helpful, walk the other way. Audio-visual productions are full of unexpected challenges and surprises. It’s the way they’re dealt with that makes a truly brilliant partner for your events. So, when you find a company that is willing to go the extra mile for the sake of your production, stick with them! Con-sol offer a comprehensive AV and Event Management solution supported by extensive experience, industry-leading technology and dedication to our customers. We know what it takes to create an incredible experience and utilise our specialist skills to craft bespoke solutions for every event. We dig deep to understand your goals and vision and then collaborate with our team to plan and deliver exceptional outcomes. If you’re ready to start planning an unforgettable event that people will talk about for years to come, have a chat with our team and let’s get to work!